In the past few years, Université Sainte-Anne has been featured many times in the press thanks to its Green Commitment, a plan to harness greener energy sources to reduce the university’s carbon footprint. The remarkable transformation away from burning fossil fuels in favour of mixed use of wind, solar and biomass fuel has prompted some observers to describe Sainte-Anne as the ‘greenest little university in Canada’. 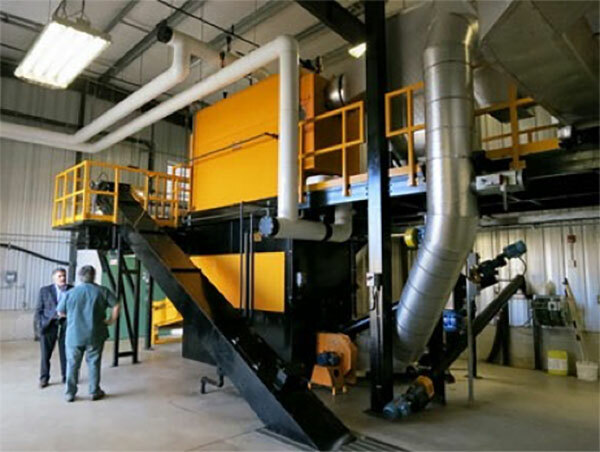 The University’s biomass furnace provides almost all of the heat for the buildings on campus. It burns between 300 and 330 tons of wood chips each month. Ashes from the biomass furnace become soil conditioner for local farmers, so that the by-product of the burning process is also put to good use. 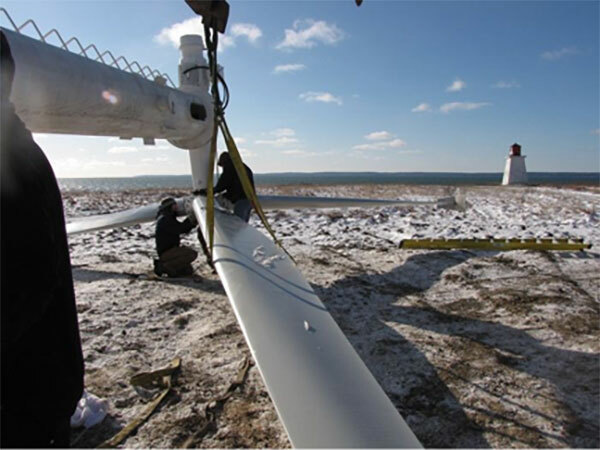 The university purchased and installed two 50 kilowatt wind turbines: these have generated enough power to save the university $50,000 each year on its electric bill. 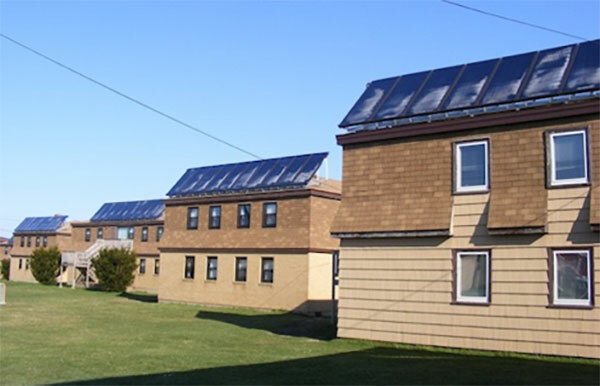 Solar collectors on the residences further reduce the school’s power needs. Arrays of solar collectors on the roof of the residences, 118 in all, supply the power for the school’s water heating. These green upgrades on campus cost $2,800,000. Thanks to the solar hot water system and the biomass furnace, the university has cut its annual heating bill in half. From 2008 to 2010, the university bought 71% less fuel oil and 29% less propane gas yearly, with a net benefit in operating costs of $200,000 each year. These savings are invested in university programs and services to students. 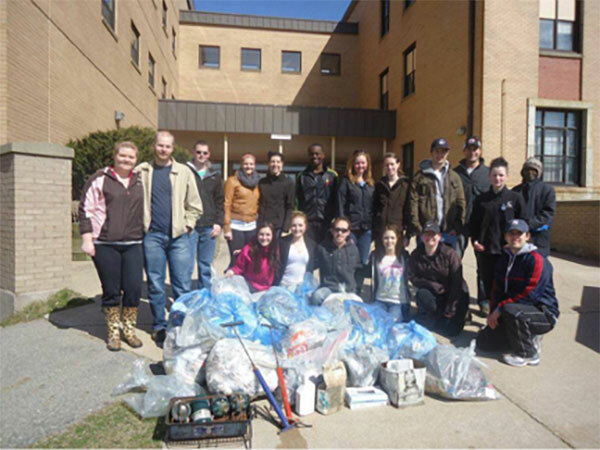 Being part of a university that operates in a sustainable way is a source of pride among the students and faculty. The students have started their own environmental group to plan and implement new green projects, including better practices for managing the waste stream within their residences. The student Green Team also takes on the job of keeping the beaches cleared of garbage washed ashore by the tides. 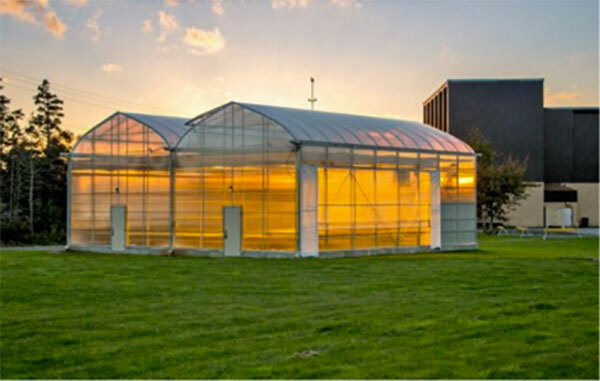 The university’s latest green initiative has been the construction of two greenhouses on campus, located near the Rendez-vous de la Baie Visitor Information Centre. One greenhouse is used to support local agriculture by studying the potential of fisheries by-products, mink manure and vermi-compost on growing vegetables and herbs. The other greenhouse is used for forestry and environmental protection studies, producing plants that have a positive impact on the environment.